Posted on November 19, 2018 at 12:28 am. 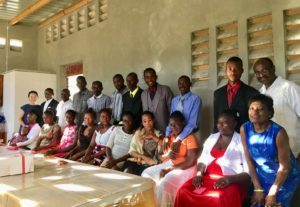 During the Haiti trip of 2017, I encountered 15 Canaan couples who were going to be married in December. Hearing their stories inspired me to bring them the symbol of hope and love, wedding rings! As a jewelry designer and a previous studio member of Metalwerx (school and community studio for jewelry making in Waltham, MA), I shared this opportunity with the director of Metalwerx, Lindsay Minihan. She was so thrilled that she took charge of the logistics to make it come true. 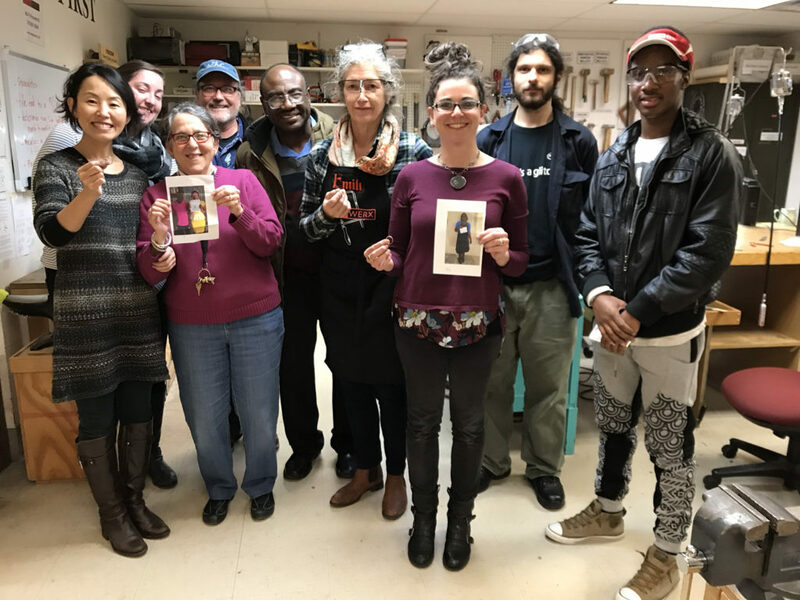 On November 22, 2017, right before Thanksgiving, 12 jewelry artists gathered to complete the project with donated gold scraps. The project was led by Metalwerx board member and master jeweler, Jeff Georgantes. From testing the donated items to melting and pouring metal into ingots and rolling it out to make the half round wire, the volunteers completed all of the milling processes. Afterwards, we each selected one or more Haitian couples from photographs …By the end of the day, all 15 rings had been fabricated, polished and packed up to send to Pastor Arthur. I revisited Canaan this past spring and was met by the married couples in a surprise party. It was so heartwarming, I wished all those ring making volunteers were there with me to receive the deep expressions of gratitude. 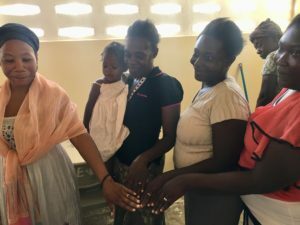 One woman expressed how proud she is that these rings were mostly made by fellow women since the job of a metalsmith in Haiti is masculine work. This was truly an amazing sharing of community work with the spirit of giving and gratitude! Posted on November 19, 2018 at 12:22 am. Women in Canaan are eager to vary the menus they can offer their families. 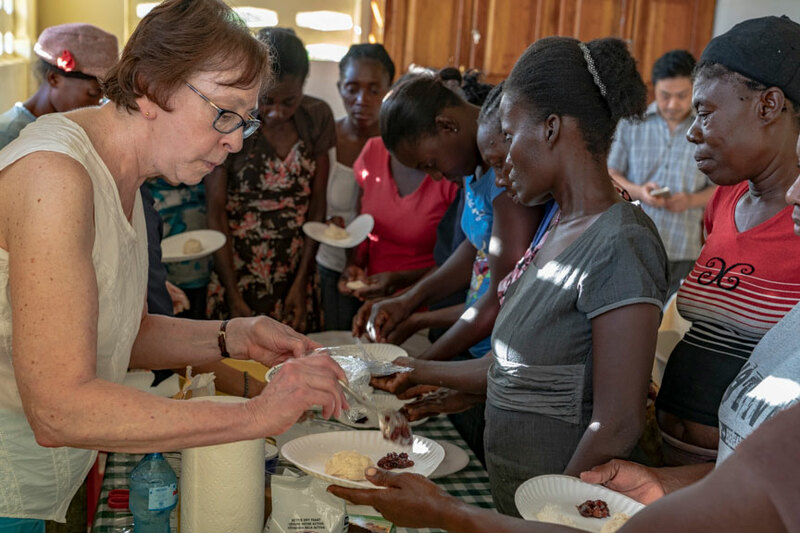 They have wood or charcoal fires for cooking in their homes, but we used the newly installed electric stove in Canaan’s health clinic kitchen for a cross-cultural cooking class. 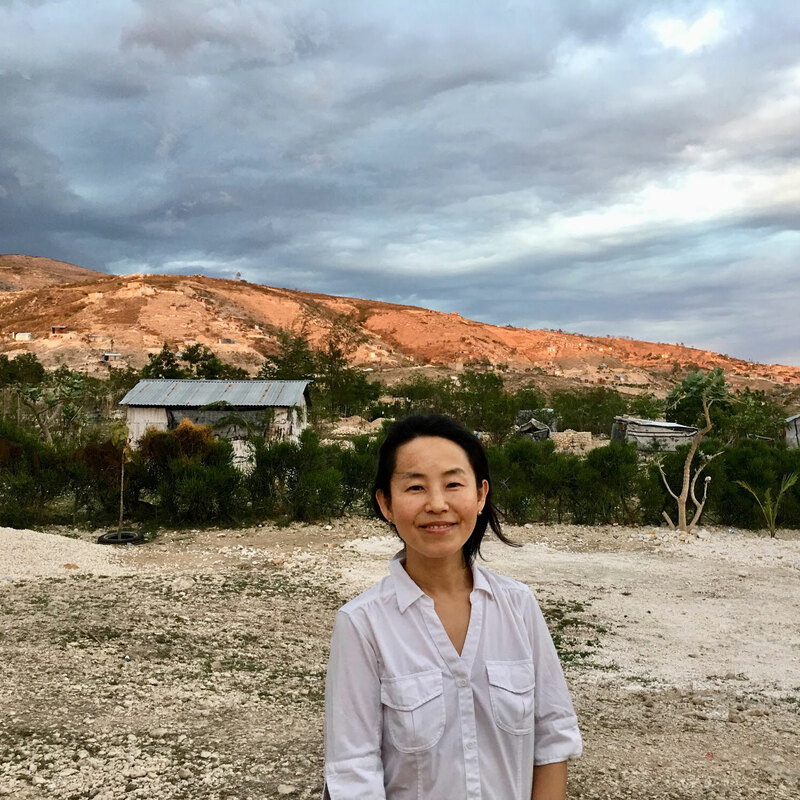 Ji Hwang selected 2 dishes with ingredients to which the Haitian women would have access, one actually passed down from her grandma. 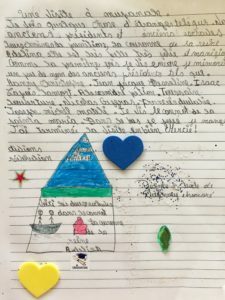 The Haitian women gathered excitedly from around the area, having heard about the class from friends, poised with pencils and paper. Ji discussed the recipe ingredients and demonstrated the methods with someone translating into Creole. We combined the ingredients, tasted the delicious, sweet red bean paste, kneaded the dough for the buns, placed the mixture in the middle of each piece of dough, carefully wrapped them up, and arranged them in the large steamer we had devised from the available cookware. The women learned about the second recipe as they waited for the steaming process to do its work. The pancake recipe involved finely chopping up vegetables to put into an egg mixture. Hannah and Jina Hwang and I had done some chopping prior to the class to shorten the time needed for accomplishing this step. We fried the pancakes, prepared the dipping sauce and waited eagerly for both dishes to be ready. Finally, we relished eating the yummy pancake wedges served warm with the dipping sauce. It was satisfying seeing the women bite into their hot, red bean steamed buns, smiling as they enjoyed both dishes. We hope the women might include these recipes later in their cooking repertoire along with the chocolate chip cookie recipe that Hannah and Jina taught later. Sharing these experiences enriched all our lives. Posted on April 2, 2018 at 4:01 pm. 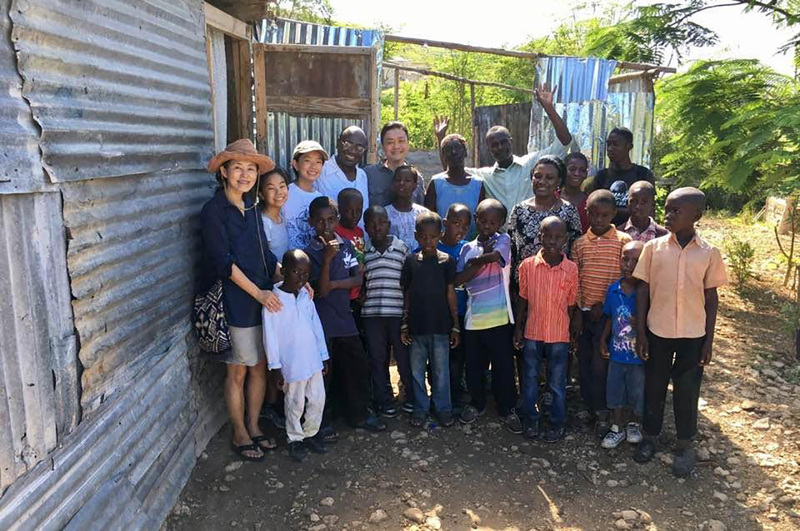 In April 2018, we visited Canaan, Haiti for the second time. This time, it was as members of 3 Generation Education. Joining us on the trip were pastor Arthur and Maude, Fred Moses and Karen Grossman, and Hannah’s friend from high school, Grace. Prior to the trip, Hannah, Jina, and Grace had collected art supplies, clothes, and money for cooking supplies. Once we arrived and saw the familiar faces, it felt like being reunited with old friends. Canaan was also familiar, but it was apparent that a lot of development had taken place during the nine months between our visits. The first 3 Generation Education project was in its early planning stages, but it was already clear that a generator for the school complex and a laptop for the director were high priorities. The generosity of our early donors let us provide both. 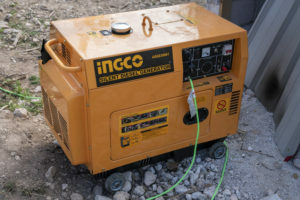 The generator was able to light the school and the clinic. The complex was now independent of borrowed generators for evening events and the weekly movie night where many of the locals, young and old, gathered to see videos projected on the clinic wall. One night, we ran the generator and showed a movie for the villagers to enjoy. Grace, Hannah, and Jina made snacks for the moviegoers. A goal for the future of 3 Generation Education is to replace the borrowed video projector with one owned by the school for use not only for movie nights but for a media room where educational videos would supplement the classroom teaching. In addition, Fred gave the laptop to the Grace school’s principal. 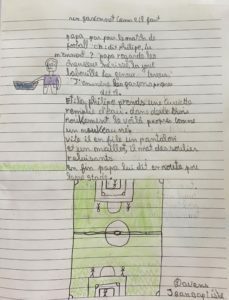 As he speaks some French, he was able to communicate with the principal in French. 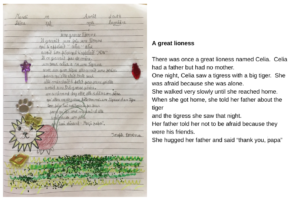 She was grateful for the gift and stated that it would be shared among the teachers to prepare school work. 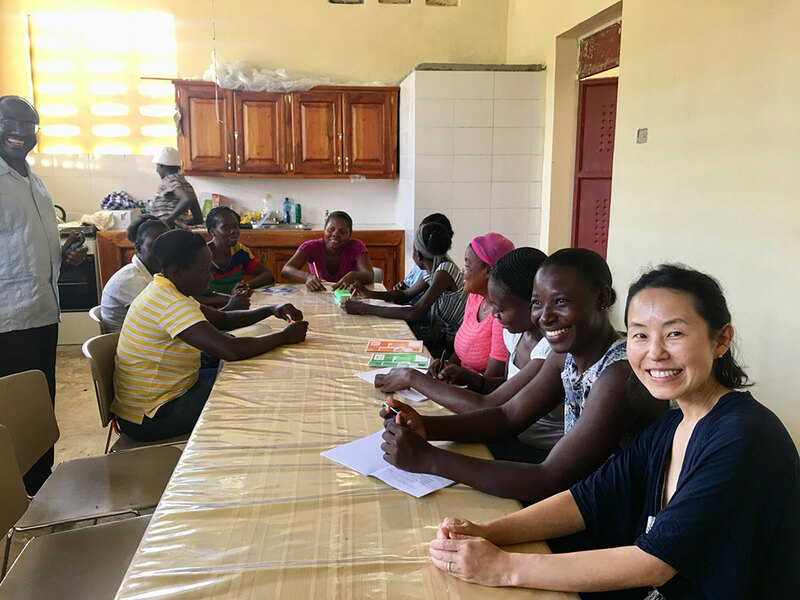 Ji was treated to a surprise party by the Haitian couples for whom she and the studio members of Metalwerx made wedding rings. It was so wonderful to hear how the wedding rings provided such an important symbol of marriage and how the couples so appreciated the gifts given them by the jewelry artists from America. 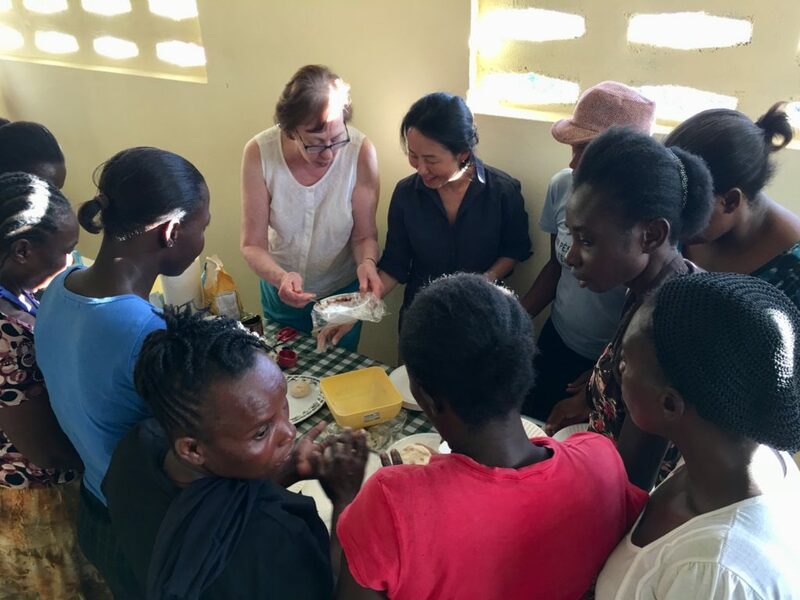 Ji and Karen held a cooking class at the health clinic, which has a small gas oven. 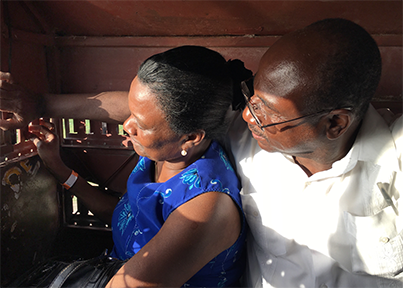 Some Haitian women eagerly took notes and shared the recipes with their friends who cannot read or write. Ji taught them simple Korean dishes that she learned from her grandmother, and the women had a lot of fun making and tasting the dishes. Hannah, Grace, and Jina also held a cooking class at the health clinic. 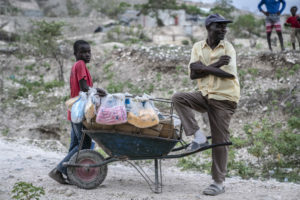 With the money they had raised, they purchased ingredients at a Haitian grocery store to make bread and chocolate chip cookies. 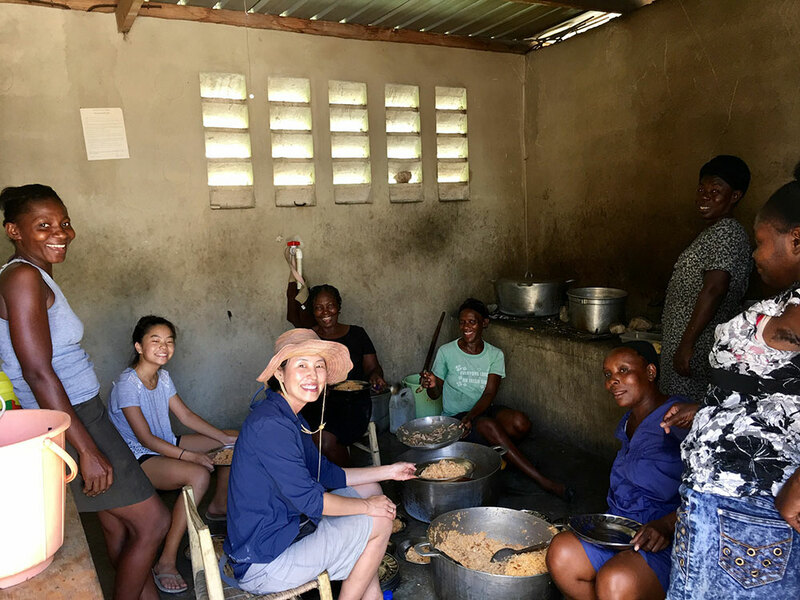 The Haitian women enjoyed making “American” bread and chocolate chip cookies which they shared with their children. 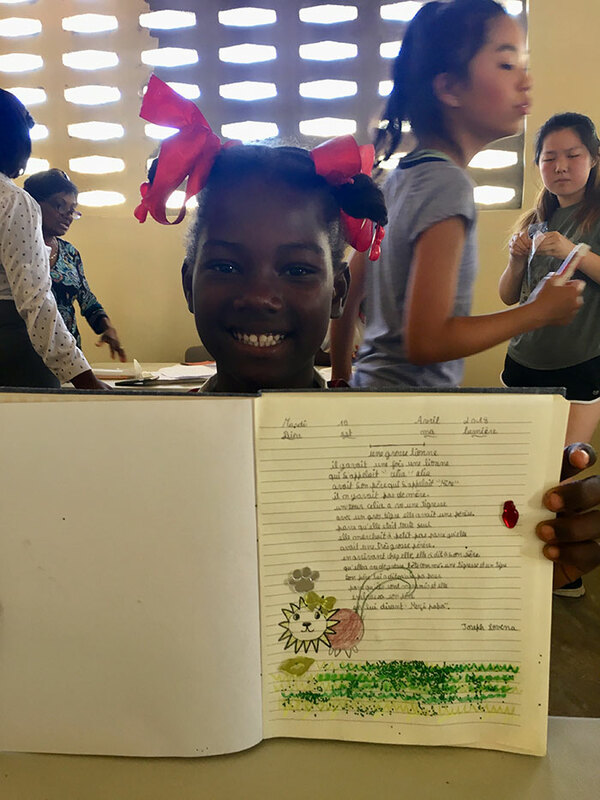 We asked students from the 5th and 6th grades at Grace primary school to write stories in notebooks that they would make into a simple storybook. 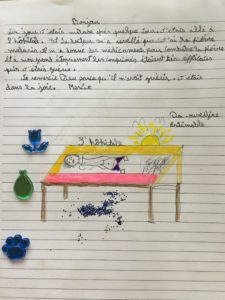 Maude translated the stories written in Creole or French. We then worked with the students to illustrate the stories. The storybooks were then given to the principal so that they could become part of the school library. The 5th and 6th-grade students were excited to hear that their story books would be read by others. This was such a rewarding experience for all that this is part of our project for the upcoming year. Also, given the popularity of the previous year’s clothes giveaway, we brought lots of donated clothes for the children. Each chose several garments and everyone had a great time! We got to see the lifestyles of the people in Canaan. We were particularly struck by a man we met who trudged his wheelbarrow down to a town down the mountain and back to sell goods to the people of Canaan. Some time ago, the school gave his four children scholarships. He’s proud that through his hard work, only two now need scholarships. 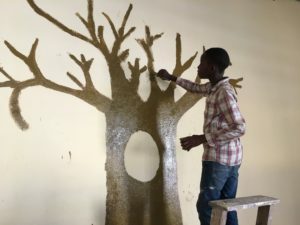 This showed not only the industry and progress of the Canaanites but also the school’s generosity and caring about spreading the opportunity for the education of the poorer children in the area. 3 Generation Education is proud to assist this. We look forward to adding technology which will enrich the education the school provides! Posted on March 31, 2018 at 11:46 pm. 3 Generation Education has been incredibly busy over the past few weeks, and there is lots that will be happening very soon! A couple of months ago, we were officially recognized as a nonprofit by the California government, a huge step for us. As an organization, our first aid to a school in need will be a generator and a laptop. Some of the Board will make a trip to Haiti in April. During our visit, we hope to make these available to the school. 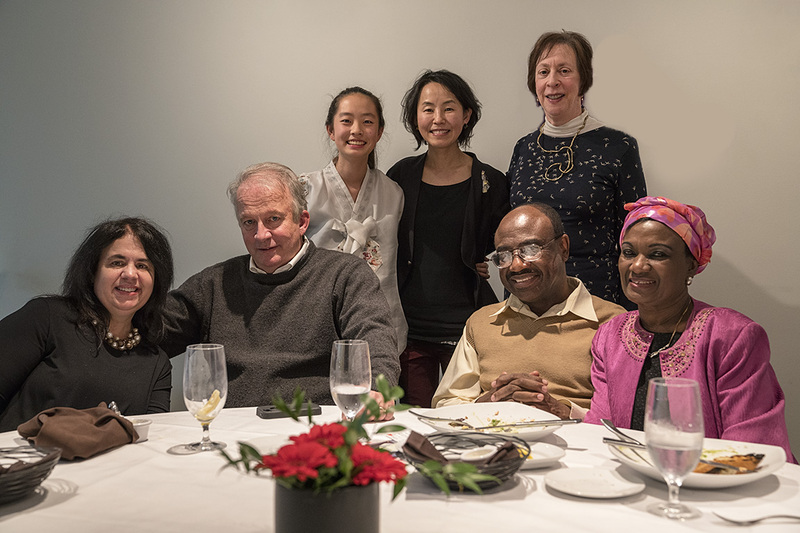 Thanks to the incredible generosity of Bill and Judy Long, Fred Moses, Karen Grossman, and Ji and David Hwang, we have received enough to fund both the generator and the laptop. In February, my mom and I traveled back to MA, to have an official board meeting. 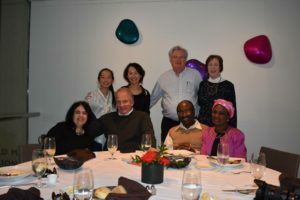 We met up with all of the board members, who have been so helpful and dedicated to this organization, and we talked about future plans for this nonprofit. Also, I look very fancy, because I participated in a Korean Arts Festival, in which we explained all about what Koreans do during the New Year. I have attached both photos below! 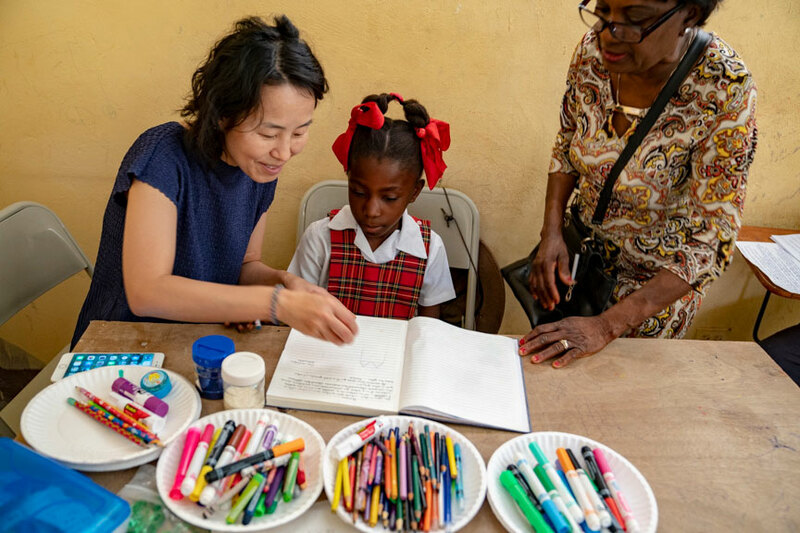 Meanwhile, Jina has decided to collect art supplies for the kids there, such as colored pencils, sharpeners, coloring books, etc… We are all excited for her to become part of this group! She has already gotten several donations with the help of her school friends, and we will be collecting them until April 3rd. Also, with my club at school, we are collecting clothing, certain kindles, donations, and will also have several fundraisers. We will be having a bake sale this coming Monday, and hope to generate around $100. All of the proceeds will go towards getting reading material for the students in Canaan. We have also gotten 12 Kindles, and are in the process of downloading French texts to bring with us. Regarding the trip, we already have about 9 people joining us for this life-changing memorable experience. We would like to thank them for their continuous support in this. We are all so excited! If you would like to help us, use the Donate button on the home page. Please share this website with your friends and family. Help us raise awareness regarding our organization! Posted on November 11, 2017 at 12:00 am. Hope you all enjoyed the Veterans Day weekend. Did anyone do anything special? 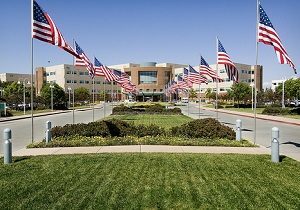 My junior friend, Barbara “Bee”, invited me to visit the Veterans hospital this morning in Palo Alto(photo of building is below). I had the opportunity to listen to many stories about WW2, the Vietnam War, and the Korean War, which was both equally interesting and sad. Some men had many physical disabilities which was sad to see, but everyone was proud of the dedication and bravery that the Veterans had. In the end, although this was a short visit, I’m glad that I got the chance to speak to many of them. I hope that others somehow thanked the Veterans for their sacrifice and service! Also, I would like to talk about the upcoming plans that my family and I have been working on. Currently, I have been talking with a family friend from MA about getting some tablets out to Haiti. We have been speaking on a regular basis, and he has brought many great ideas! I am very glad to have met someone who is very skilled in technology and is also very willing to help. Anyway, I will be releasing more information about these tablets once I get a prototype in the next week or so(apps, costs, etc). Additionally, I have been working with some friends towards creating a club at my school. I hope to make this club official by the start of January! Thank you for continuing to read these blogs! Posted on October 23, 2017 at 12:00 am. Sorry to not have posted in such a long time, but I was really preoccupied with my classes! Today, I would like to talk about the recent wildfires and ways to support and help the victims. Please pray for these victims, and offer support to them. Thank you all! It has been a very long week, but I am excited to say that I had lots of time to think. This week, my teachers talked a lot about beginnings. Beginning with a new teacher, new class, or in my case, a new school and state. That led me to think about why my family and I visited Haiti. 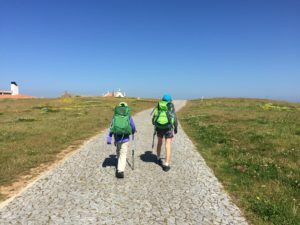 We decided to go, after talking with Arthur Demosthenes, and learning about how we could make an impact on the children and families there. We were introduced to Arthur by church friends, and he later joined our family for dinner. 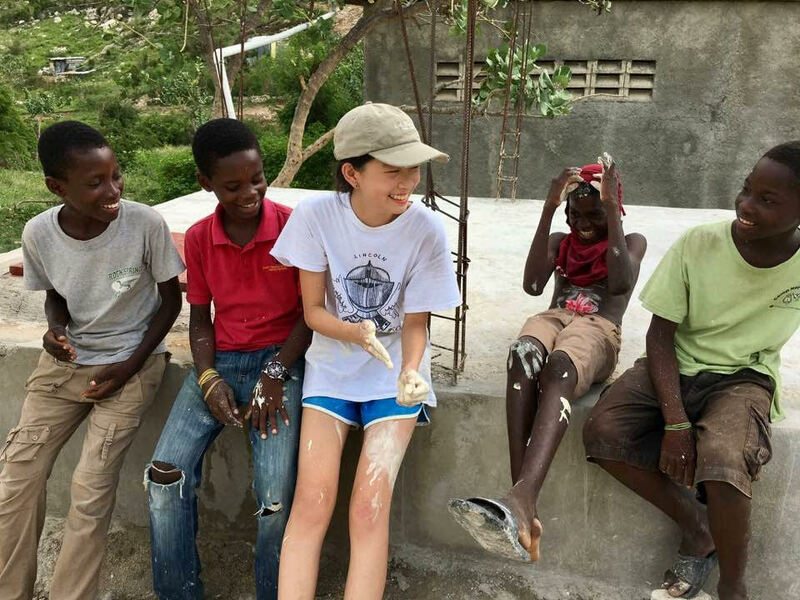 He helped inspire the idea of going to Haiti, and because of him, we learned much from our experiences there. During the next couple of weeks, I would like to summarize our experiences in Haiti, day by day, so please stay tuned! Thank you for reading this short post, and I hope to be more detailed in the future! Posted on September 19, 2017 at 12:29 pm. I have decided to try and write a new blog each Friday, but we will have to see how that turns out! I am 16 years old, and I currently am a sophomore. Although I am fairly young, I have been lucky enough to visit a 3rd world country. In our society today, people are incredibly privileged, and have much more than we think. I traveled to Haiti this past August, and it was truly influential on me and my family. We went there as guests of a pastor, and yet, living there was unbelievably hard. We only drank bottled water, because their water was too dirty for us to drink. We could only take quick showers, but would get sweaty and dirty almost an hour later. There were many, many mosquitoes that left bites all over our bodies, and there was almost no way of protecting ourselves. The sun was very strong, and there was little sunscreen or protection from its rays. We stayed for 1 week, but I don’t know if we could have stayed another week. My sister and father got extremely sick, and it was very difficult for the last few days. Many people around the world do not honestly understand how much others struggle. I hope that by the end of this school year, I will consistently raise some funds for teachers in Haiti, and then I hope that some people will be interested in visiting Haiti with me next year. I’m not going to lie; this trip was very influential, but difficult. I want to find other students like me, who have dedication and passion for helping others. Posted on September 18, 2017 at 12:26 pm. This is my first blog post, and I don’t know 100% what to expect. All I do know, is that I have a clear goal in my head. I have a passion; something I think about all day, because I desperately want it to come true. 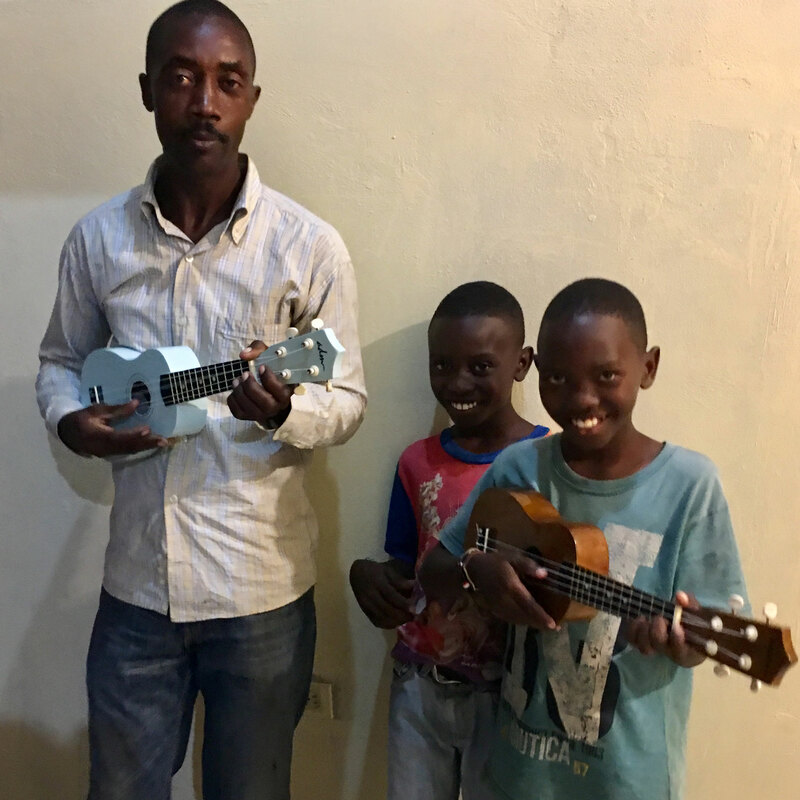 My goal is this: During my high school career, I want to create some sustainable source of income for a K-8th grade school in Haiti, and then, figure out how to impact others by building a company. 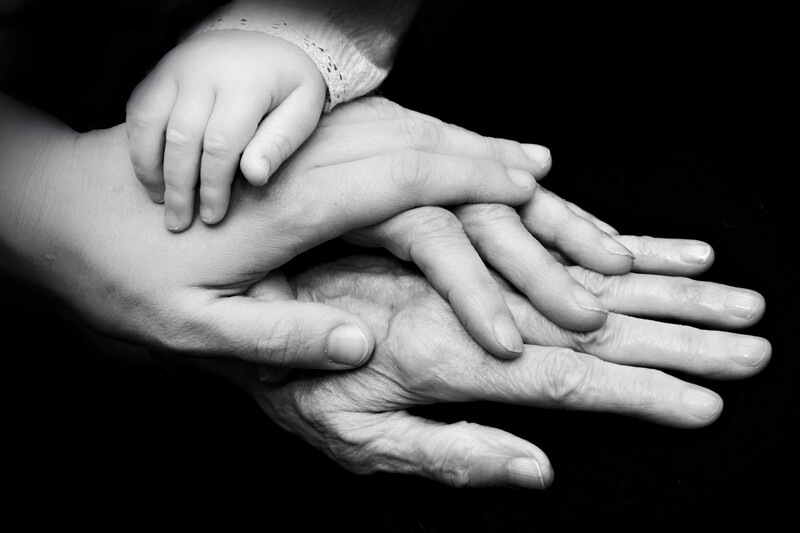 This idea of 3 generations, is my hope to unite people from all generations to help and make a stand. If you are a kid, helping your community and others is incredibly important. It sets you out to think about others, rather than yourself. I was always the type of kid who did that. Usually, I did that too much, and ended up not taking very good care of myself. However, I feel blessed to have learned the important lesson that comes with helping people. My parents were the ones who started me on that track, and I want others to do this too. It’s never too late to make an impact! Even older generations can do many things. It is important to not dis-acknowledge them, just because they are older. In reality, it is the mindset that people place upon them that makes them believe that their work is done. Through this blog, I hope that others with similar goals and ideas can join me in impacting the world. My father has always told me to “impact a billion people, for big goals can be achieved with time and hard work”. Be the type of person who dreams so big, that others may laugh at your dream. This will push you to achieve new things. Posted on July 2, 2017 at 3:54 pm. 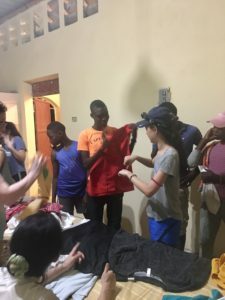 In July 2017, we first went to Haiti with little knowledge and no expectations. Prior to moving from Massachusetts to California, just wanted our girls to experience life in a poor country so they could better appreciate what we had. Instead, what we experienced served as a catalyst for the formation of 3 Generation Education. Posted on June 2, 2017 at 4:04 pm. In March of 2017, our family made the decision to move to California from Massachusetts. So we planned to have a garage sale before the move. Around the time we were deciding to move to CA, our family friends, Bill and Judy Long, introduced us to Pastor Arthur Demosthenes, who is doing life-changing work in Canaan, Haiti. 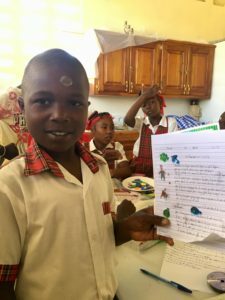 When he mentioned a need to build a 6th grade classroom at the Grace primary school in Canaan, we were inspired to help support the school. Since we were planning on having a garage sale, we offered to donate the proceeds towards the building of the 6th grade classroom. As the date of the yard sale approached, our family decided to change our small garage sale into a community yard sale. We contacted the local newspaper, posted on the community blog, and emailed friends and family to spread the news. 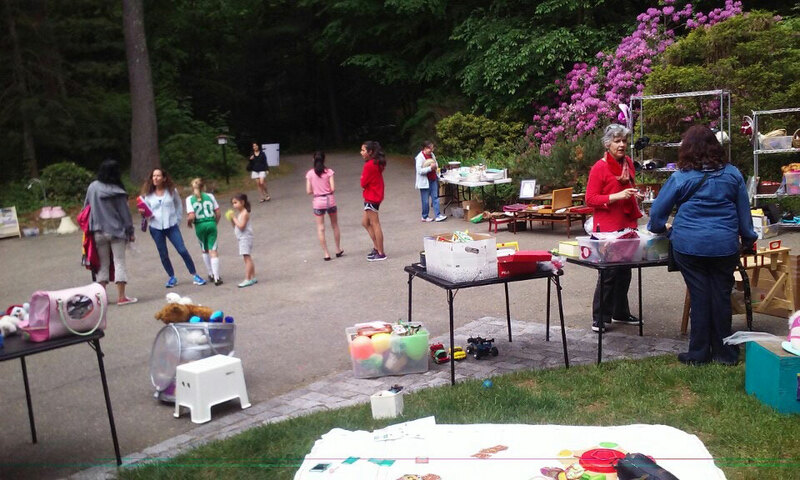 At first, we were worried that few people would come to our yard sale, let alone help. But on the day of the yard sale, an astounding number of townsfolk showed up with their own items, purchased goods, and even stayed to help manage the process. It was a great community bonding event, and in just one weekend, we raised $3,000. 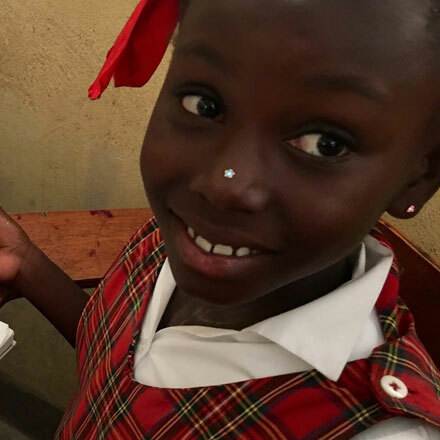 We were able to cover the entire cost of the 6th grade classroom, and used the leftover money to purchase desperately needed medicine for people in Canaan. 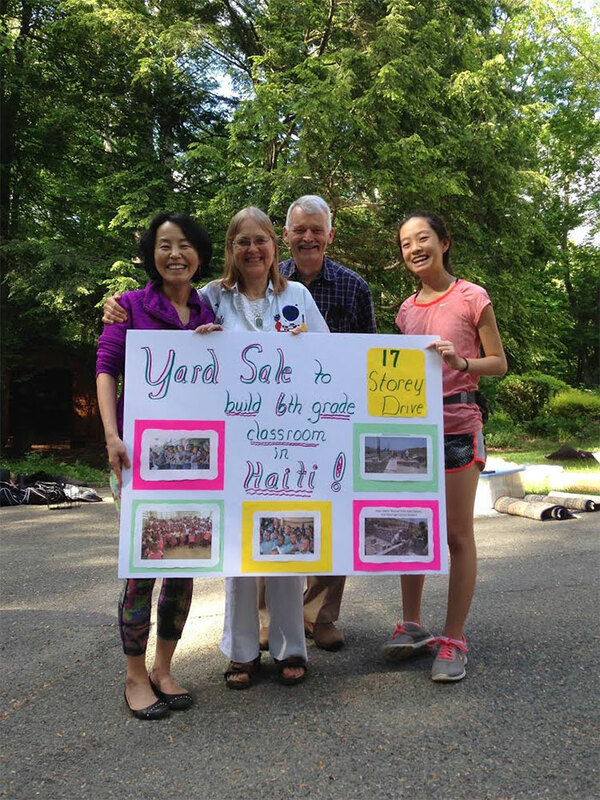 The yard sale allowed us to experience the power of one community’s effort to help another community. Later that summer, we traveled to Haiti for the first time, to witness the impact that the classroom would have on the people there. Although our trip was tiring, filled with mosquitoes, flies and cockroaches, we loved the connections that we made with the people! We could not talk with the people because of the language barrier, but we found ways to communicate nonetheless. 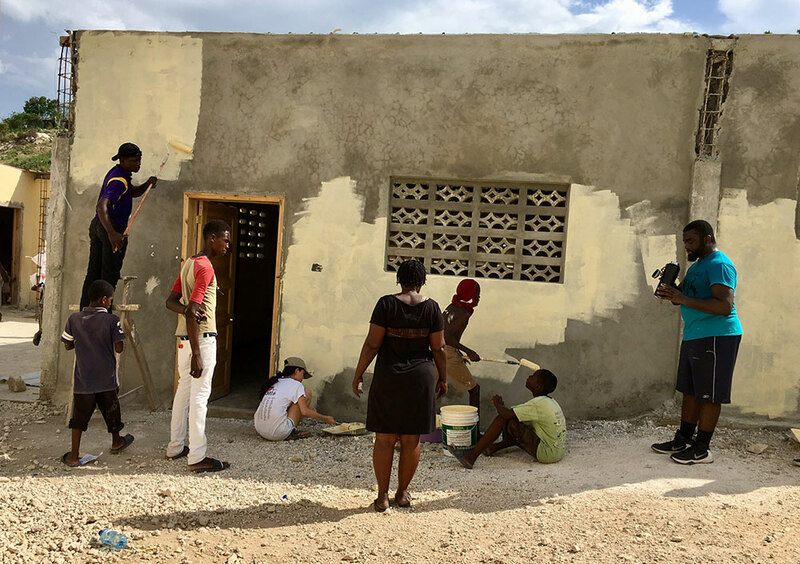 We even painted the classroom that we had helped fund, and were deeply moved by how the community viewed it as hope for the future. No one in our family thought that this trip would become a way for us to make a positive impact on the lives of others, but we are glad to have gotten so much motivation and inspiration from our trip. Posted on July 2, 2016 at 3:52 pm. Like anything in life, a series of events occurred to get us to this point. From getting to know your neighborhood to a bigger community, we had started some charity work when our kids were younger. In 2012, the girls made acorn necklaces and sold them at local craft fairs. To their astonishment, they were able to raise $500, which they donated to Hagar’s Sisters, a place for women experiencing domestic abuse. This was a profound moment for us, because we learned that we can have a positive impact on people’s lives. 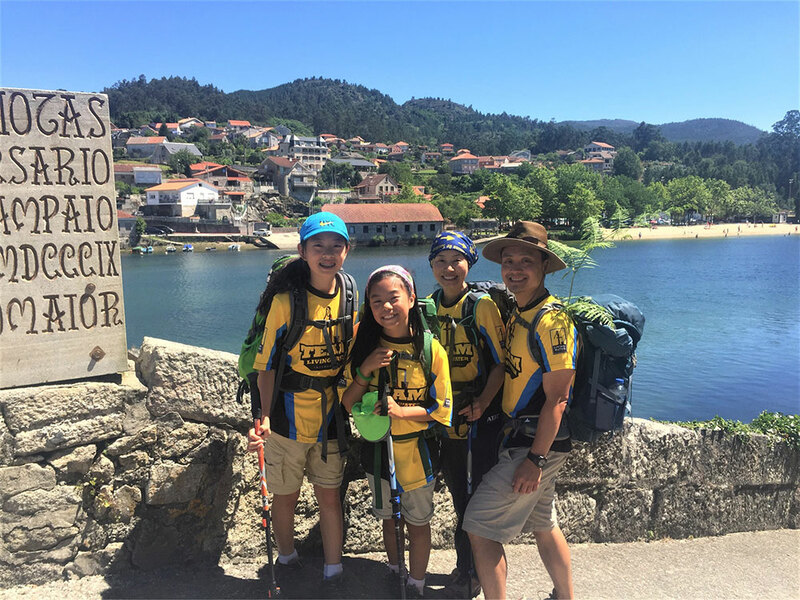 After being involved in a few different charitable efforts over the years, we learned about the Camino de Santiago, a 1,000-year-old sacred pilgrimage through Europe. We devised a plan to create a family summer vacation of sorts while fundraising $5,000 to build a well in India through the organization Living Water. 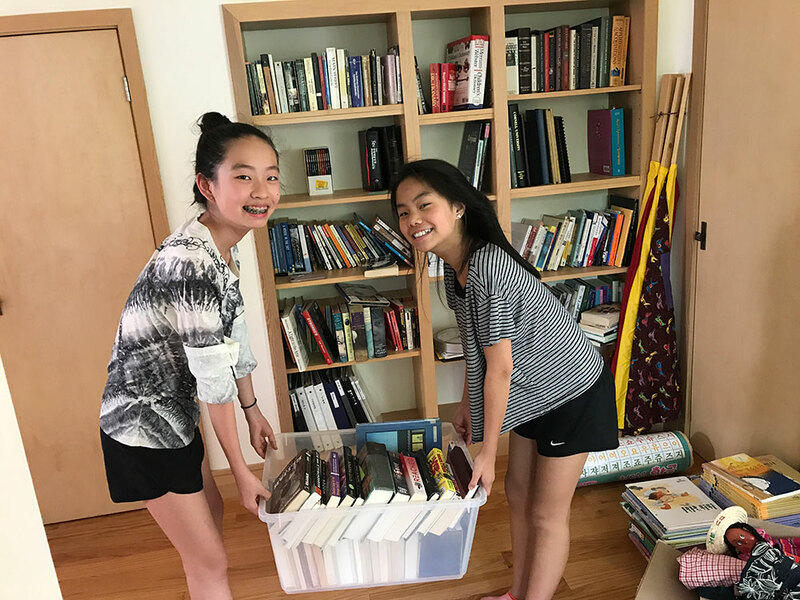 Our girls, Hannah and Jina, sent an email to our friends and family right before the trip, and the donations just kept increasing as we traveled through Portugal. 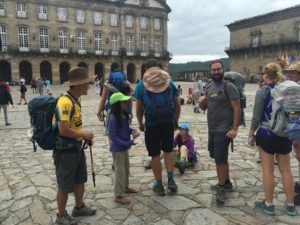 We thought $1,000 would be a great accomplishment, but as we neared the end of our walk in Spain, we had already raised $3,500. 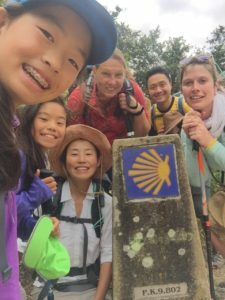 There are few children on the Camino de Santiago, so many pilgrims were curious and supportive, which was very heartening. We ended our trip surprised to find that we had raised $4,400! Right before Christmas, Hannah and Jina made cookies and soap to sell next to my jewelry stand in the local craft fair, which brought us to our goal of $5,000! We were able to raise the money! We learned that if you have the right heart, and you can share that with others, there is no end to what can be done.